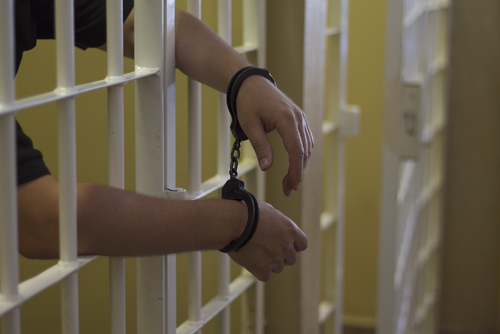 According to the US Department of Justice, about one in five prisoners in the United States are behind bars due to a drug-related crime. Drugs aren’t cheap, and many addicts will commit robberies and assaults in order to get more. For a moment, just imagine what would happen to the US crime rate if drugs didn’t exist in our society. It would immediately drop by a fifth. Even though drugs haven’t been handled yet, lawmakers still look for ways to decrease the effects of drugs and crime on our society. The New York Daily News is reporting that one new plan is to engineer early releases for thousands of federal prisoners that are serving long sentences due to crimes related to crack cocaine. It is unknown what exactly the nature of these crimes were (stealing in order to get crack cocaine or simply having possession of the drug? ), but many criminals could see their sentences shortened or could be released from prison altogether. The question is whether or not this is a good idea. Should these prisoners just be released, or is there a better idea for what to do with them? Why do Lengthened Sentences Have to do with Crack Cocaine? Drugs come and go in popularity. There are fads, you could say, but it has a lot to do with supply and demand. If one particular drug is getting extremely popular, drug producers will ramp up production and flood the streets with it. In the 80s, crack cocaine started to flood into inner cities all over the country. Hundreds of thousands of urban dwellers were getting hooked on this extremely addictive drug, and the government took notice. In an effort to stem the tide of the drug’s popularity, lawmakers created harsh penalties for being involved in crimes with the drug. Where a crime involving heroin or marijuana could get you one sentence, a crime involving crack could be far longer. Over the past decade, public opinion on drug-related crimes has rapidly changed. Marijuana has been legalized for “medical” purposes in over twenty states, and two have now legalized recreational use, as well. More and more Americans are started to look at drugs as just another part of life. While this is worrisome in itself, the viewpoint is having far-reaching effects on our society. Even the President has come out and said that he favors reducing the criminal penalties on using marijuana and other drugs. The idea behind these viewpoints is that using a drug doesn’t harm anyone but yourself, so why are these users going to jail? Lawmakers seem to be backing up that viewpoint by trying to get a lot of these drug criminals out of jail in the near future. If we just release these men and women back into society, however, there is a large chance that they will just return to their old ways and start using drugs again. Even worse, they could go back to committing the old crimes that were use to fund their drug habits as well. A much better idea would be to get these criminals the help that they really need. Instead of just releasing them to go back to using drugs, lawmakers should consider giving every inmate mandatory drug rehabilitation. This could help these criminals with their real problems – the ones that put them in jail in the first place. Not only would it help these individuals, it could lower the crime rate in our country dramatically.